Liam O’Driscoll is a Bachelor of Civil Law (International) student studying in UCC. As a Director and volunteer with Foróige, Liam has a passion for youth participation, leadership and active citizenship. He has facilitated citizenship projects with young people in his local Foróige club and has also represented volunteers throughout the governance structures of the organisation. 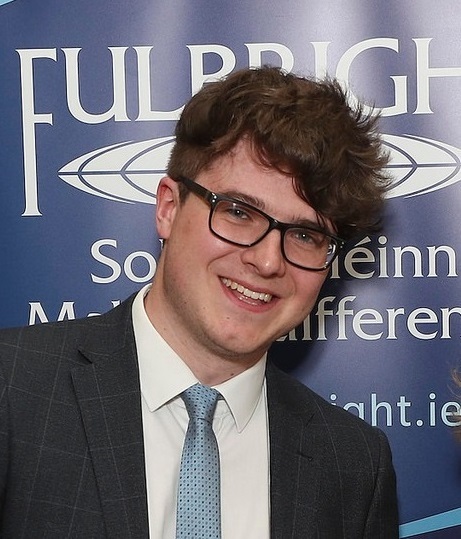 He is also passionate about politics and is a member of UCC Young Fine Gael, the U.S. Embassy Youth Council and the Editorial Board of the Cork Online Law Review. As a youth delegate to the Congress of Local and Regional Authorities of the Council of Europe, he had the opportunity to travel to Strasbourg to represent young people in Ireland. Next year, Liam will study in the University of Helsinki in Finland on an Erasmus semester.